RAW files offer a tremendous level of control over noise, tonality and color; a hearty file that can cope with the demands of our creativity. Unless you were a press photographer needing to transfer images quickly, the JPEG is often sidelined as the file type you only use if you can accept the default image settings or if you didn't know better. This divide has largely dimmed our thinking about the way we could be shooting and the potential of the JPEG file as a serious choice for both amateurs and professionals. I don’t even want to know how it’s done. Unedited RAW image. Photograph by Jason Lau. As a photographer I am constantly trying to hide the plastic look of digital photographs coming from all of my cameras. Camera makers have become lazy and unimaginative when it comes to creating great straight-out-of-camera images. Instead, we get silly picture effects and Instagram type filters that seem determined to make you look like you are using Photoshop for the very first time. Where is the once-held deep knowledge of colors and tone that has been developed through a century of film photography? Companies like Kodak, Agfa and Fuji were all about films with wonderful characteristics and life. The skin tones I got with some of these films still rival anything I can achieve on digital today. No one cared how the films worked, they just needed to be enjoyed. If they could do this with a chemical process, why can’t they do it in a digital process? Camera manufacturers need to start giving photographers some genuine reasons to trust the experts again by producing compelling and meaningful JPEG settings with character that rivals and even beats what we could edit ourselves. Today companies like VSCO or Alien Skin, have made much progress into transforming our cold digital files into images that evoke nostalgia, sensuality and fascination. We instinctively know how we want our images to look but it requires us to figure out how to achieve it. The only company I know of that is coming close to offering some freedom from this is Fujifilm with their X- series cameras. Having such a long history in film, they have included popular film stock emulations like Velvia, Astia and Provia under their JPEG settings which closely imitates the look of these legendary films. Most recently they have released the “Classic Chrome” film setting, recreating deep faithful colours and slightly muted tones, akin to the results created by the now discontinued Kodachrome. Photographers like Zack Arias have written fondly of this new picture setting and he is lauding it’s ability to produce beautiful and useable images straight out of camera. 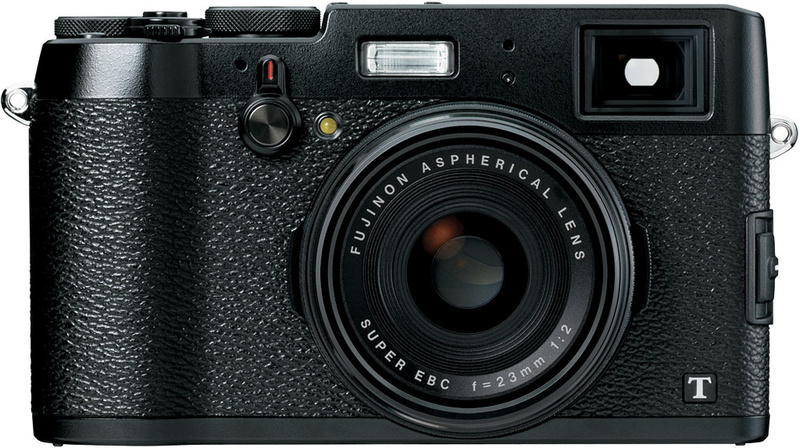 New Fujifilm X100T now with “Classic Chrome” film setting. The call to create a better selection of JPEG settings is not an unreasonable one. There have been so many digital camera advancements over the years, but in contrast our expectations of the JPEG file has remained largely stagnant for over a decade. We have too easily accepted that editing is part of shooting digitally. Imagine if your favorite camera could shoot with VSCO type edits directly applied? It may not be answer for every shooting need, but it can mean that we can get excited again by the images our cameras produce, beyond sharpness and pixels, and reducing our editing load. Is anyone out there listening? This could literally change the way we shoot forever but we need to start wanting it and asking for it. The JPEG revolution could be just around the corner and with it we can release the photographers back into the wild. Fro will have to make new shirts. "We have too easily accepted that editing is part of shooting digitally. ", you're kidding right? Like you said, there's plenty of software out there that can emulate old film. Besides, it's not like film has died or anything... by all means shoot film! Yes, I'm grateful for these software but I suppose I would still call that editing an image. I'm excited by the resurgence of film photography and I've shot film for many years. I suppose this is about wanting the digital cameras we buy to give us more options to share this aesthetic. I don't get why you get negative votes... it makes sense! BUT I,d love to be able to shoot raw and have the process from the jpeg applied. This way you get aesthetics and flexibility! "There was a time when photographers could just shoot on film and be wowed by the results." Not sure what time that was... I spent a lot of time huddled over an enlarger for no apparent reason, I guess. This, to me, sounds like someone who never shot film professionally. 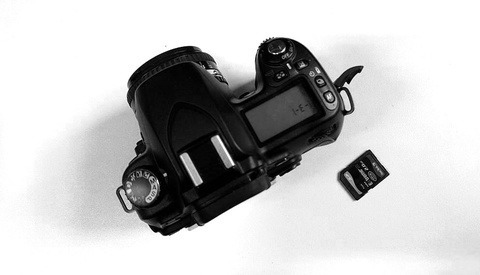 "As a photographer I am constantly trying to hide the plastic look of digital photographs..."
I have heard this many times, but have no idea what this means. I have never looked at a Raw file and thought, "that looks digital/fake/plastic". Most of the time the "plastic" look from digital files comes from heavy stylization and processing— which was not available in film shooting. Manipulation (pre-jpeg) is what causes the plastic look. I get what the author is trying to say— that sometimes you just want to take the photo and have it— but that is the attitude of a snapshot shooter (which is fine). Professionals will never find a use for it. The "film look" comes largely from the inherent compression in the highlights and shadows that film delivers. It's an S-shaped tonal curve instead of a straight one. Learn your craft and none of this will be a challenge. Or shoot film (I'm guessing you haven't). I would also suggest you learn what "edit" means. I think the film look is more than just a tonal curve, it is also the way they treat the hue and luminosity of individual colours and their response to the wavelength of light that is being recorded. 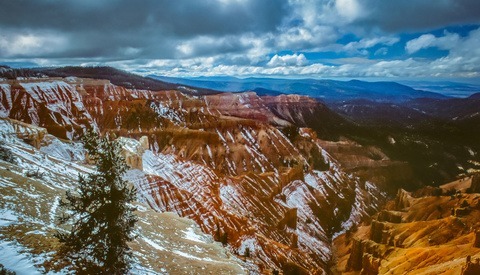 I spend quite a large portion of my life editing images and I suppose I mean "edit' in the broader term of sitting at a computer and altering the look to your image. I hope the readers would understand it the same way. I have shot a lot of film over a decade and have taught darkroom printing for almost as many. Achieving a film look digitally is not difficult with various software these days, but I am questioning whether we can expect more from a straight out of camera image. Great article Jason, I'm finding myself leaning more towards film more these days. There are no surprises with digital, I love the sometime imperfections of film and old cameras. Plus nothing beats the excitement of getting your negs back! For me, shooting the image is just the start, and the editing process is a huge part of creating the look I'm after. I shot slide film for many years, and I'm thrilled to not be limited in the dynamic range or baked in levels of saturation I would get with something like Velvia. To each his/her own, but I have no desire to shoot an format that limits my ability to create the image I'm after. You have no argument from me there Martin. I've spent countless hours developing and refining my Lightroom presets! It can certainly be helpful for a photographer to achieve a signature look. And yes, traditional darkroom had plenty of room for manipulations, I'm sure Jerry Uelsmann would agree too. However the article is asking for better JPEG options to be offered by camera manufacturers, especially for the times I feel like just shooting and sharing. But as you said, to each his/her own. high capacity memory cards and hard drives are as cheap and plentiful as they've ever been. camera buffers for raw files are fast enough for most uses short of sports and automotive. I think shooting raw isn't the chore some make it out to be. I'd rather have options after the fact than to be locked into a look from the moment I snap the shutter. In reality, isn't shooting digital and spending a portion of time on the computer the same thing as shooting film and spending time in a dark room processing the film? EDIT: I didn't see Martin's comment, pretty much the exact same point! Definitely Daniel, for black and white images (yes colour can be done by hand to but with greater difficulty). In the past when I shot weddings or portraits on film, it was a matter of choosing the film I liked best, (Kodak Portra NC was beautiful) shooting and sending it off to be printed. The majority of corrections were only brightness adjustments and the occasional warming of a photo. Most of the character and colour style were achieved through the film. True. There are tons of ways to develop BnW film (and everyone SWEARS ON THEIR MOTHERS GRAVE that their formula is the best lol) As you stated Color film has one true development process (C-41) so there's not a lot of things you can do to change the look. Although you can cross process if you like the effect. And drink Pabst religiously. Jason, I was just lamenting this fact with my partner over at Couple of Dudes.com We got the new d750's and they rock, they came with a Nikon Picture control computer interface that lets you dial in your own Picture Control setting, and we've been trying to emulate some of our favorite film stocks with it, but if VSCO or Alien Skin, or Nikon itself could just release some JPG picture control that actually looked like the film we miss and love and can't afford to run a business on--Man, that would be amazing! Thanks for the article and letting us know that we're not the only ones thinking this way. Glad you think so too Joe! It shouldn't be a threat to pro photographers, just another way of working. I think there is much to explore in this area and it is always good to have more options to how we function as photographers. I'm curious why they haven't created a new JPEG format in all these years. Video formats keep coming out - and the new .h265 is supposed to be 4x better than .h264. Can't they do that with .jpeg?